Passing my driving test last July was without a doubt one of the best things I've done, I didn't realise at the time how much more freedom it would give me and Spud, and even the dog benefits too, considering he gets driven to luxury parks to walk or should I say sprint around. From going food shopping without worrying about carrying heavy bags, to driving down the road in the pouring rain, it's been a saviour and something I'm so glad to of achieved. It's also been a pleasure when we've planned family holidays, there is no more squishing an adult in between car seats, and packing the bare minimum because you're travelling in someone else's car with their belongings too. Now our holidays and short breaks are a doodle, just the two or three of us in the car, with plenty of space and empty laps - whereas before our laps would no doubt be a holding ground for a bag or two, and let's not mention the space by our feet! As many of you know, my mum lives in rural Cornwall, it's a beautiful place and the bonus for us is free holidays and short breaks which I know we're so fortunate to have. Of course, we'd much prefer to not have the free holidays, but instead live closer to my mum as we miss her, my stepdad and little sister so much, but they're happy and they've made Cornwall their home. Travelling from my home to my mum's home is a four-hour trip, that's eight hours there and back - if the traffic is good, and whilst it can be a boring drive for the children, to us adults its beautiful, the scenery and sites are just amazing. Cornwall is without a doubt my favourite road trip, from where I live in a busy town (I don't know why we don't have a city status), to us, Cornwall is like another world. There's so much greenery, animals to be seen and beautiful clear skies, okay so maybe the sky is the same wherever we go, but you notice it that bit more in a place you love. Whilst I love where my mum lives, I don't think I'd ever be able to live there myself, it's so different to the busy town life I am used too, plus I'd be away from the rest of my family, I'd miss my nephews too much, with whom I have great bonds with, and of course my siblings, my dad and stepmum, my nan, cousins, friends and so on, I also think the novelty would soon wear off with me, and I don't think Spud would enjoy living there, as there isn't much to do for children without travelling miles away. Talking about travelling miles away, my home to my mums home is over 200 miles away, and then there's all the driving around whilst you're there because everything is at least five miles away! It's five miles one way to the nearest small local shop, and five miles the other way to the nearest supermarket and petrol station. Going on a trip quite some distance away from home means checking everything is in order with your car, whilst you may not give everything a thorough check over when your only popping 10 minutes down the road, driving 200 miles away means having to check everything in the car to make sure its safe - and I mean everything, from the tyres to the brake pads, a whole service is in order. When talking to driving friends recently about having their cars serviced, it shocked me at how many hadn't ever had a service done, instead, they just thought an MOT covered them in thinking their car was safe. But actually, this isn't the case, it's so important to get your car serviced by a reliable company such as Kwik Fit, especially if you're planning to take a road trip somewhere, otherwise, you could end up with a big bill if something were to go wrong! 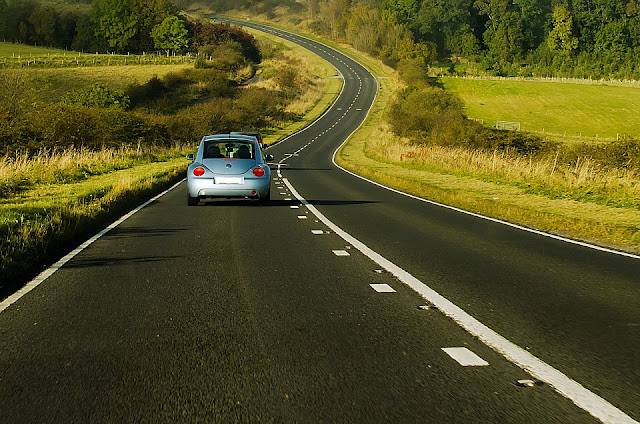 So whilst you plan your road trips this summer, don't forget to plan for your car's road trips too, have it serviced and you'll have little to no worries of your car breaking down only halfway through your journey, or the fact you'll need to spend much needed holiday funds on much needed and urgent car repairs, it's better to plan ahead, and avoid them pricey unwanted costs! Before I sign out, why not check out Kwik Fit's #RoadTripsOfEurope ebook I'd love to know about your favourite road trips, so please do leave me a comment below to let me know your favourite/s, and who knows, maybe I'll try a few out myself!